Join Docomomo US/MN for it's 2019 Film Screening: The Experimental City, by Chad Freidrichs (The Pruitt-Igoe Myth). 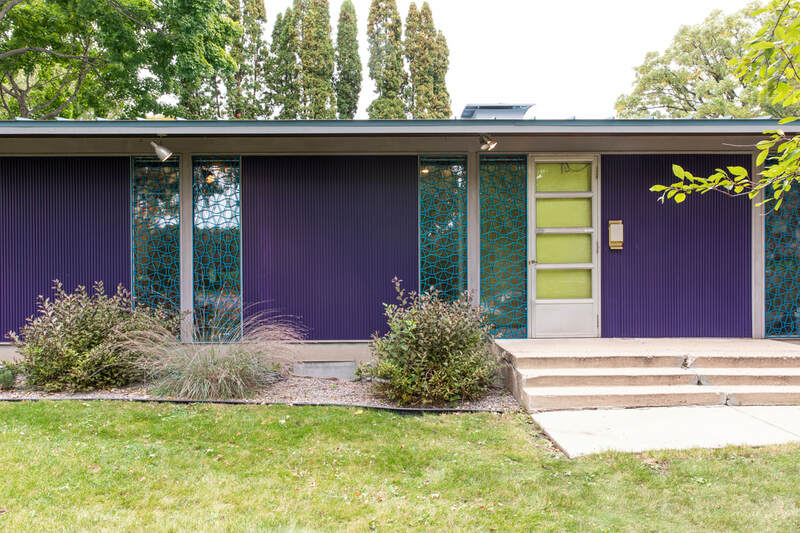 Docomomo US/MN presents its annual Minnesota Modern Tour Day on Saturday, October 13. Tickets and details available at docomomomn2018.eventbrite.com. This year’s tour developed into a kind of mid-century time capsule after finding our feature home located near Diamond Lake in South Minneapolis. 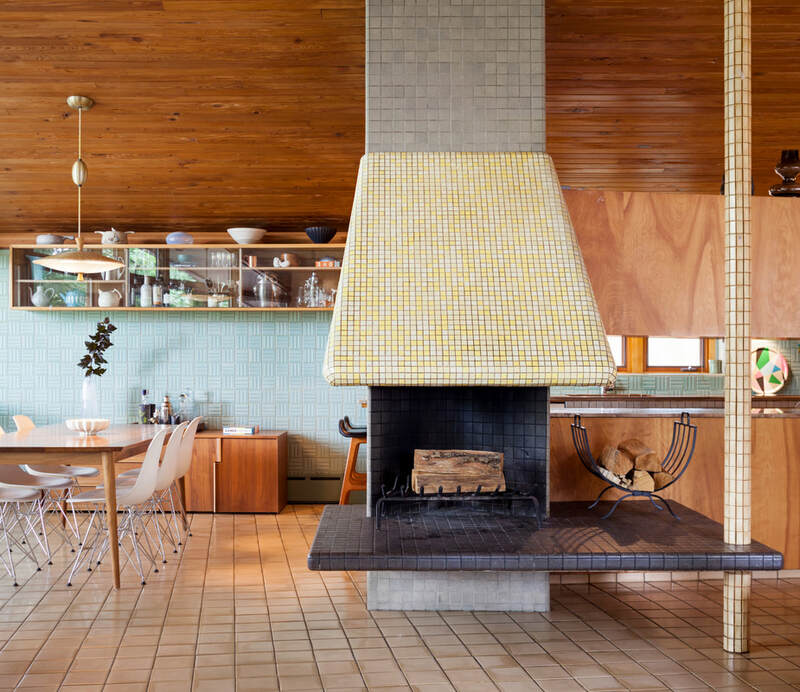 This home by Carl Graffunder, was designed in 1955 for his sister and brother-in-law, who happened to own Dale Tile Co. The result is a home filled with floor to ceiling magnificently preserved tile including a built in tile chair and tile shuffleboard. Another home in North Minneapolis includes all of the original wall coverings and fixtures that were originally chosen using an interior designer and is pristinely preserved. Also included in this tour is a spectacular house located in Golden Valley that was built in 1960 by architect Thomas B. Hendrix, who ultimately lived there with his family until 2013. In addition, we are also pleased to include the only Alcoa Aluminum Company home in Minnesota. 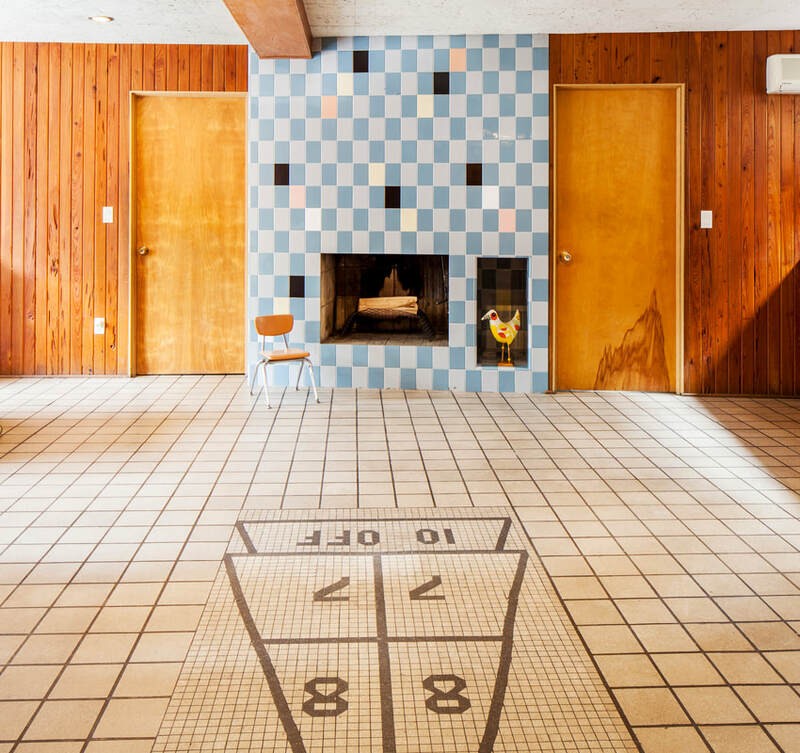 This home was built in 1958 as a marketing ploy to showcase the virtues of aluminum. It was slated to be one of 50 homes in 16 states to be made using many of Alcoa’s aluminum products. 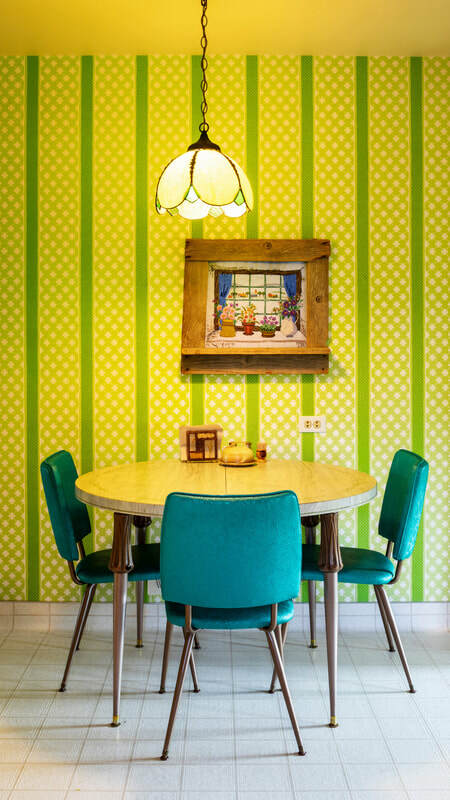 It was purchased by its current owners in 2011 and had fallen into severe disrepair but has since been painstakingly restored to much of its original glory. 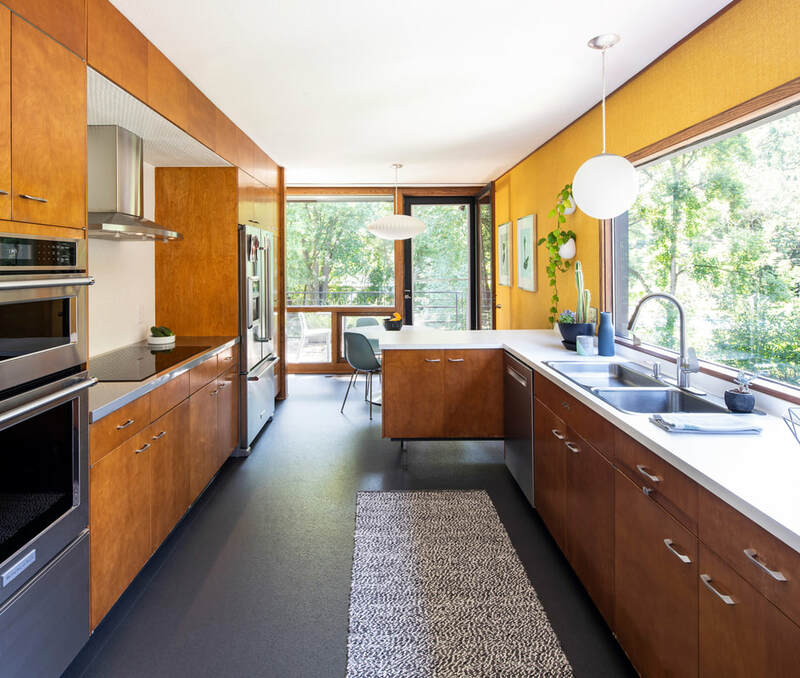 Finally, our last home is located in St. Paul’s Highland Park neighborhood on Montcalm Avenue and features brilliantly preserved wood paneling and the original St. Charles kitchen complete with original metal cabinets. 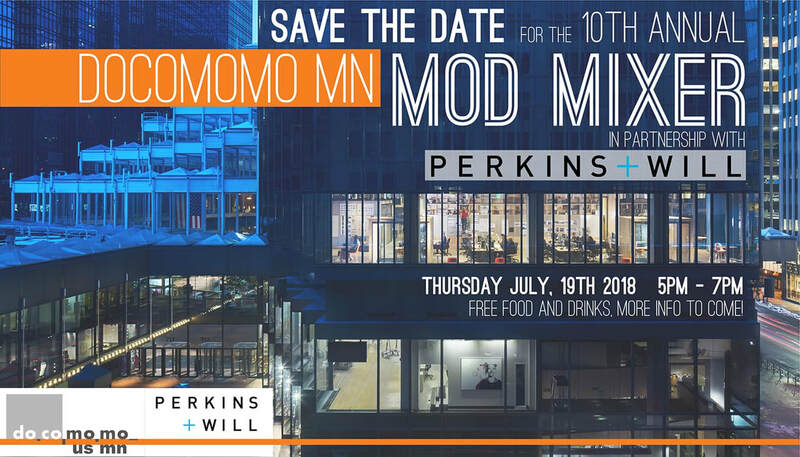 Please join both Docomomo US.MN and Perkins + Will for this year's Mod Mixer. We will have fabulous views of IDS Crystal Court from Perkins + Will's office, enjoy light refreshments, and chat about design. The Eliel and Eero Saarinen-designed Christ Church Lutheran in Minneapolis is the location for Docomomo MN’s spring presentation of the documentary film “Eero Saarinen: The Architect Who Saw the Future.” Eliel designed the sanctuary of Christ Church Lutheran (1949) and his son Eero designed the church’s education wing (1962). Co-produced by director of photography Eric Saarinen (who will be joining us for the screening and the Q&A), Eero’s son, the film explores the life and visionary work of the Finnish-American modernist architect (1910-1961). In the film, Eric visits the sites of his father’s work on a cathartic journey using drone technology that showcases the architecture. The documentary also features rare archival interviews with Eero and his second wife, The New York Times art critic Aline Saarinen, as well as letters and quotations from Aline’s memoirs voiced respectively by Peter Franzén and Blythe Danner. Another beautifully curated tour of modern homes in the metro area has been successfully completed. 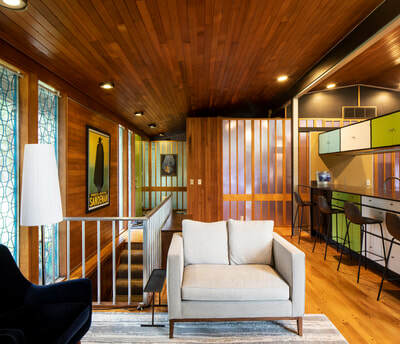 We had seven wonderful modern and midcentury modern residences open to tour ticket holders. Many of the homes had recent updates and all held a treasure for MCM enthusiasts. Thank you to all our homeowners and visitors for another year of fun. Our annual Mod Mixer is a party bringing together those who have knowledge and enthusiasm for modern design. The free event is open to all, including Docomomo members and non-members and includes light refreshments. There will be two raffles, one for existing members and another for those who join Docomomo or renew their membership at the event. Get ready to mix and mingle with other modern lovers! Narrated by James Franco, Jason Cohn & Bill Jersey's documentary reveals the lives, careers, and creative genius of the Eames. Despite their unrivaled impact on American design, the personas of the steadfastly private Charles and Ray Eames have remained oblique beyond the giddy publicity photos they doled out to inquiring journalists while they were alive. Eames: The Architect and the Painter draws extensively from a virgin cache of archival material, visually stunning films, love letters, photographs and artifacts produced in mind-boggling volume by Charles and Ray with their talented staff during the hyper-creative forty-year epoch of the Eames Office. Interviews with family members, including Charles’ insightful grandson Eames Demetrios, and design historians guide the viewer on an intimate tour of the Eames era, while junior designers who were swept into the 24-7 world of “The Eamery,” as they called it, flesh out a fascinatingly complex blueprint of this husband-and-wife powerhouse. The film shares a candid view of the emotional inner lives of two great American artists as they apply their genius to practical problems and innovation, not out of a sense of ego, but out of sheer creative necessity. Charles and Ray’s career symbiotically tracks major developments in postwar America. 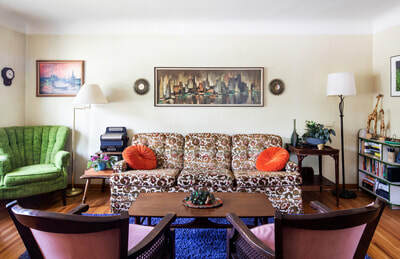 Just as California was becoming a viable counterweight to the cultural power of New York, the Eameses moved to Los Angeles. 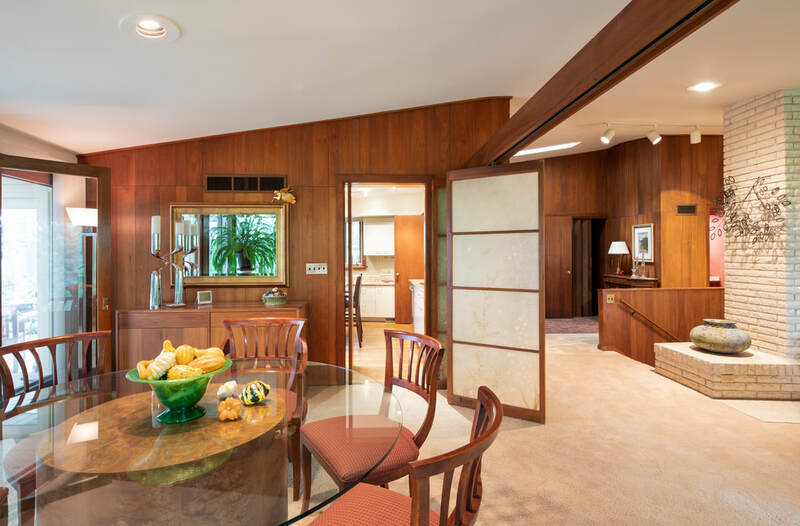 Their light and whimsical designs, particularly the landmark house they built in the Pacific Palisades, became emblematic of a new West Coast lifestyle whose influence reached Europe, Asia, and beyond. And, as American society began shifting away from manufacturing and towards an economy based on ideas and communications, the Eames Office was always a step ahead. Eames: The Architect and the Painter incorporates clips from their films and exhibitions for clients like IBM, Westinghouse, Polaroid and the U.S. government, which pushed the envelope for communicating complex ideas to mass audiences. Eames buffs and design aficionados will be delighted at the opportunity to hear Charles and Ray in their own words, thanks to never-before-seen interviews and behind-the-scenes footage of the designers at home and in their studio. The filmmakers discovered revelatory outtakes from a 1973 public television film in a Wisconsin historical archive and had the film restored and transferred with a grant from the household goods company OXO. One of the most lasting Eamesian innovations was the technique known as “information overload.” Their 1959 project “Glimpses of the USA” featured thousands of images of American life projected simultaneously on seven enormous screens. It was shown to Russian audiences at the height of the Cold War. The strategy was later employed in the landmark IBM-sponsored film “Powers of Ten,” and with the popular but widely criticized bicentennial exhibition, “The World of Franklin and Jefferson” foreshadowed the layering of massive amounts of information on the Internet. The work of Charles and Ray Eames remains an ideal of design at its most virtuous. It represents an alchemical combination of beauty and purpose, for designers and consumers alike. Though the Eameses are best known for their ubiquitous furniture and the signature innovation of the molded plywood chair, this essential documentary shows Charles and Ray applying the same process of inquiry to architecture, large-scale exhibitions, and their quirky, beautiful films. As Franco’s narration quickly makes clear, the film’s subtitle contains a grain of irony. Ray was a brilliantly trained painter who rarely painted, and Charles was an architecture school dropout who was never licensed to practice. Contemporary design historians may argue about how to delineate Charles and Ray’s respective roles in the prodigious Eames design output, but this documentary reveals how Charles, Ray and the other Eames Office designers themselves actually dealt with these endemic questions of authorship and control. The film shines a light on the genuine legacy of Eames design, which elevates the marriage of aesthetic refinement and functionality to a higher plane. Featuring interviews with Charles Eames’ daughter, Lucia and grandson, Eames Demetrios, filmmaker Paul Schrader, TED founder Richard Saul Wurman, noted architect Kevin Roche and a cast of former Eames Office designers, including Jeannine Oppewall, Deborah Sussman and Gordon Ashby. Eames: The Architect and the Painter is produced by Quest Productions and Bread and Butter Films. Jason Cohn and Bill Jersey, Producers. Edited by Don Bernier. Narrated by James Franco. Narration written by Jason Cohn. Co-Producer: Camille Servan-Schreiber. Associate Producer & Archivist: Arwen Curry. Musical Score: Michael Bacon. Executive Producer, Shirley Kessler. To celebrate the 10 year anniversary of Tour Day, we are happy to grant access to six exclusive Mid Century Modern and Modern homes in the Twin Cities metro area. Visitors can tour inside and outside the residences. 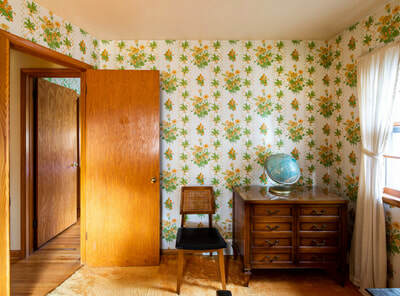 Docents are available to share information about the homes and designers. Tickets are $50ea. 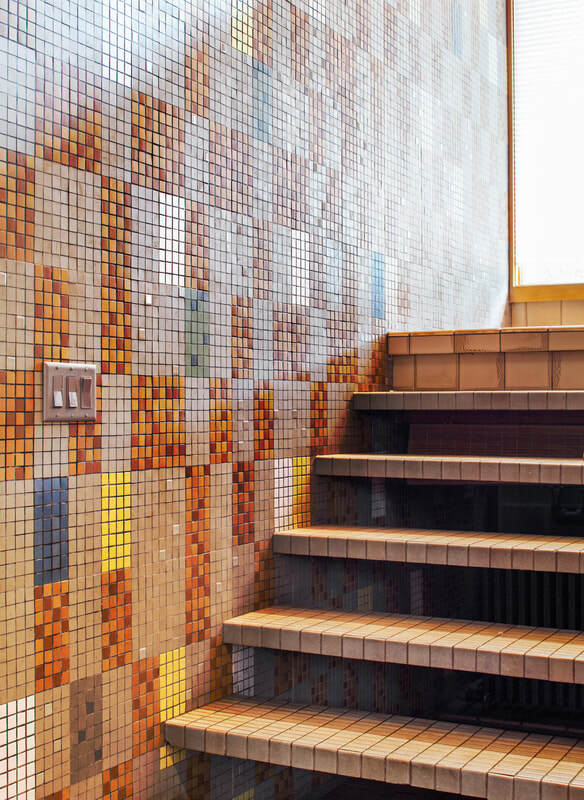 for non-members, $30ea for docomomo members, and $15ea for students (valid student ID required at entry). Homes in the West Metro will be open between 10am and 1pm. They include a Ralph Rapson in Chanhassen, the Curt Green home (HGA - Hammel, Green and Abrahamson) in Golden Valley, and a Bernie Herman and Don Hustad in Minnetonka. In the afternoon, between 1pm and 3pm, we move over to the East metro to see two homes. 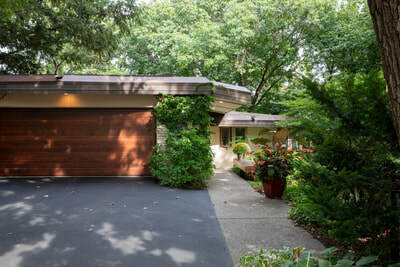 There is a very unique custom home built by 3M chemist George Harrison in Roseville and a Norman Nagle in St. Paul. We will end the day with light refreshments at the Nagle house between 3:30 and 4:30pm. 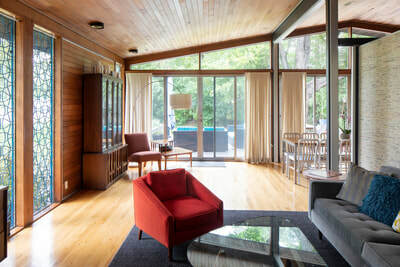 Join Docomomo US.MN, The Cultural Landscape Foundation, and the College of Design to celebrate Dan Kiley. He is considered one of the most influential Modern landscape architects and this photographic retrospective documents the current state of 27 of his more well known projects. 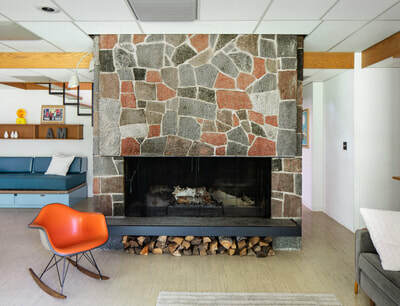 In addition, the College of Design Library houses a wonderful collection of Modern furniture from Gerrit Reitveld to Frank Gehry, with all the Eames, Nelson, and Bertoia in between. And did we mention being surrounded by thousands of amazing design books and our usual sparkling conversation? Our annual mingle with modern-lovers basking in the presence of some great mid-century items. 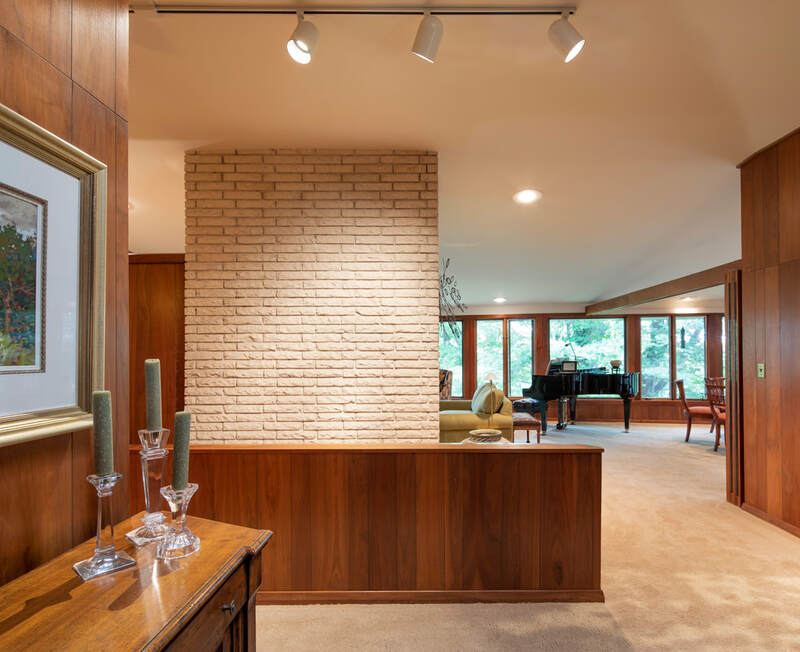 This year we featured mid-century modernism in Robbinsdale, Minnesota by partnering with Save the Terrace Theatre and Golden Age Design. Pizza from Pig Ate my Pizza and beer from Wicked Wort Brewing Company rounded out the neighborhood theme. Thanks to all who joined the fun! This year we viewed La Maison Tropicale, a film by Mantia Diawara. The Maisons Tropicales were designed by architect Jean Prouve in the 1940s for use in France's African colonies as a solution to their housing shortage. 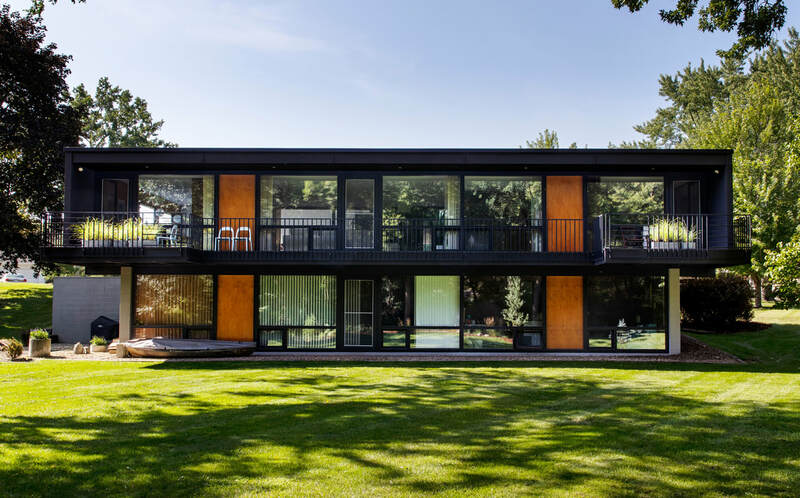 The houses, constructed out of pre-fab aluminum panels, are light and easy to build and transport. He also designed the house to respond to the native humid climate. It was intended to be a prime example of social modern architecture. This film shared the varied response to these homes, from celebration in the Western art community to frustration in the African community. We enjoyed the new perspective this film presented. ​Join us in the beautiful fall sunshine for discussions on modern park structures and landscapes at Columbia Park at 1pm, Saturday 10/15/15 and then over to Hidden Falls Park at 3pm for more modern structures, food, and lawn games. This event is FREE to members and non-members this year. Can't wait to see you!